Why Camden County, Georgia - U.S.A.? In addition, our southerly location and favorable launch azimuths enable more payload to orbit from Camden County. These launches have the capability to fly due east, maximizing the velocity boost from the rotation of the Earth and enabling more payload to reach orbit. We are also home to a former rocket testing facility that is ideal for space vehicle manufacturing and we can provide ready access to existing space launch sites in both Virginia and Florida. Camden County, Georgia has an exciting opportunity to make History again! The emerging commercial space market is poised to fuel the future growth in Georgia's space industry. We are well positioned to capitalize on the global $304-billion space industry. Launches over the Atlantic Ocean and a large, undeveloped buffer zone mitigate any danger to major population centers and provide a nearly unrestricted launch range to a wide range of orbits. Southern latitude gives spacecraft a boost from Earth’s rotation, adding velocity to the rocket, reducing the fuel needed, and enabling more payload to reach orbit. Orbital inclinations between 31° and 58° can be reached without the addition of costly propulsive maneuvers to change the orbital plane. Temperate weather permits launches year round. As a commercial property, Camden Spaceport eliminates the need for commercial space companies to sequence alongside governmental payloads or be saddled with the federal government regulation that exists at other launch sites. Rail and Interstate highway located within 13 miles. Barge access to the Atlantic with convenient shipping to other East Coast spaceports. 838 aerospace companies in Georgia, employing 85,000 aerospace workers. Georgia Institute of Technology a state asset, has the largest aerospace engineering program in the U.S.A.
Georgia is a right-to-work state with a pro-business atmosphere. A competitive state tax rate, mandates for a balanced state budget and legislation designed to support business growth and success are just a few reasons Georgia’s business environment is thriving. If a visitor center was made available to view launches, would you view a launch? What is the history of the Spaceport Camden proposed site? Back in the 1960s, the world's most powerful rocket motor was fired in Camden County on the proposed site of Spaceport Camden. The rocket belonged to the Thiokol Chemical Company, whose purpose was to build solid-propellant rocket motors. The 1976 book titled Camden's Challenge discussed the proposed site and how the area of this launch site was once chosen by the Thiokal survey team over several other sites partly because of its deepwater access to the Intracoastal Waterway. In addition, the Thiokol rocket test area site was also selected because of its proximity to Cape Canaveral, available labor supply, adequate available land, community attitude, rail and highway transportation system and its five-year record without hurricane damage. These same factors make this an ideal location today for Spaceport Camden. How large is the Space Economy? According to the Space Report 2015, the global space economy grew by 9% in 2014, reaching a total of $330 Billion worldwide. Together, commercial space activities made up 76% of the global space economy and grew 9.7% in 2014. The remainder was composed of government investments in space, which experienced a combined growth of 7.3% in 2014. See page 2 of The Space Report 2015/The Authoritative Guide to Global Space Activity. 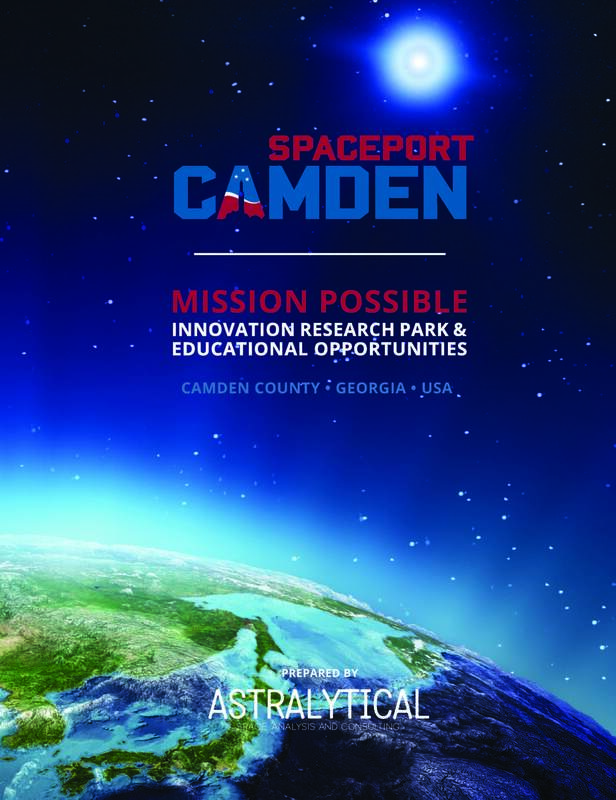 Why is Camden County seeking designation as a spaceport? Camden County, Georgia has an exciting opportunity to make History again! In the 1960s, the world's most powerful rocket motor was fired right here in Camden County. Our southerly location and favorable launch azimuths enable more payload to orbit with minimal environmental impact and maximum benefit to commercial spaceflight companies. The emerging commercial space market is poised to fuel the future growth in Georgia's space industry. This presents an exciting opportunity for Camden County! Camden can also leverage a state asset, The Georgia Institute of Technology's Guggenheim School of Aerospace Engineering, which is the largest aerospace engineering program in the United States. Former Technical Chief with NASA and Georgia Tech professor, Dr. Bobby Braun said, "If approved, this project will serve as the foundation for a space sector transformation in Southeast Georgia. It will create both direct and indirect jobs and increase tourism. This project would be a boost to both higher education and STEM programs across the state." With the rebranding of Georgia's east coast to Georgia's Space Coast, and the establishment of Interstate 95 as the High-Tech Corridor within coastal Georgia, the state of Georgia and Camden County will be well positioned to capitalize on the global $304 billion space industry. How is a Spaceport designation determined? A Spaceport designation is determined by the Federal Aviation Administration (FAA) through a licensing and permitting process. 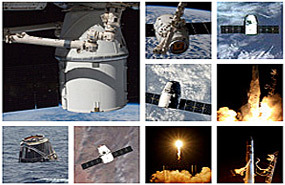 The Office of Commercial Space Transportation conducts a review of the license or permits application including a policy review, payload review, financial determination, environmental review and safety review. Policy Review- Determines whether a proposed launch would jeopardize U.S. National Security, International Obligations or Foreign Policy interests. 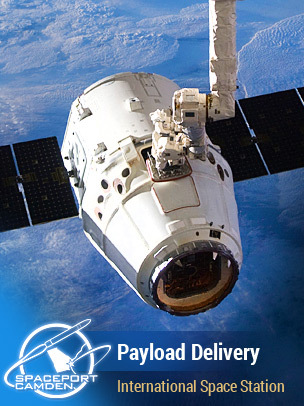 Payload Review- Determines if a license applicant or payload owner or operator has obtained all required licenses, authorizations, and permits. Does not apply to payloads under the jurisdiction of any other government agency. Financial Responsibility Determination- Proof of financial responsibility is required. This is usually fulfilled by purchase of liability insurance. Environmental Review- Proposals must be reviewed under NEPA (National Environmental Policy Act). Upon completion, this Environmental Impact Statement (EIS) process will fulfill the environmental review portion of the license application (after the FAA publishes the Final EIS and Record Decision). Safety Review- Determines if an applicant can safely conduct the launch of the proposed launch vehicle(s) and payload(s). For this project, will an Environmental Impact Statement (EIS) be required? What will the EIS tell us and how long will it take to complete? Yes, an Environmental Impact Statement is required in moving forward with the Spaceport Camden project. The period of performance for all work requested is anticipated to be twenty-four (24) months or less following contract award. As lead agency, the FAA has selected an independent contractor ("Contractor") to prepare the EIS. The Camden County Board of County Commissioners (BOCC) will be the party responsible for engaging and retaining a contractor with funds provided by the BOCC. What is the licensing and Permitting Process? Spaceport Camden must apply to the FAA for a Launch Site Operator License as described in 14 Code of Federal Regulations Chapter III, Parts 400-450, including Part 420, License to Operate a Launch Site. Concurrently, the FAA conducts policy, location, safety, and environmental reviews for applications before making a licensing determination. Successful completion of the environmental review does not guarantee that the FAA will issue a Launch Site Operator License.The EIS process is expected to take 24 months. Individual launch operators proposing to launch from the site will be required to obtain a launch license and/or permit. Launch Site Location Review – The Applicant must demonstrate that, for each launch facility, at least one type of expendable or reusable launch vehicle can be flown safely. Safety Review – The Applicant is responsible for public safety and must demonstrate an understanding of the hazards and discuss how operations will be performed safely. Environmental Review – Proposal must be reviewed under the National Environmental Policy Act (NEPA). This Environmental Impact Statement process fulfills the environmental review portion of the license application. No decision can be made or license issued until the NEPA process is completed. 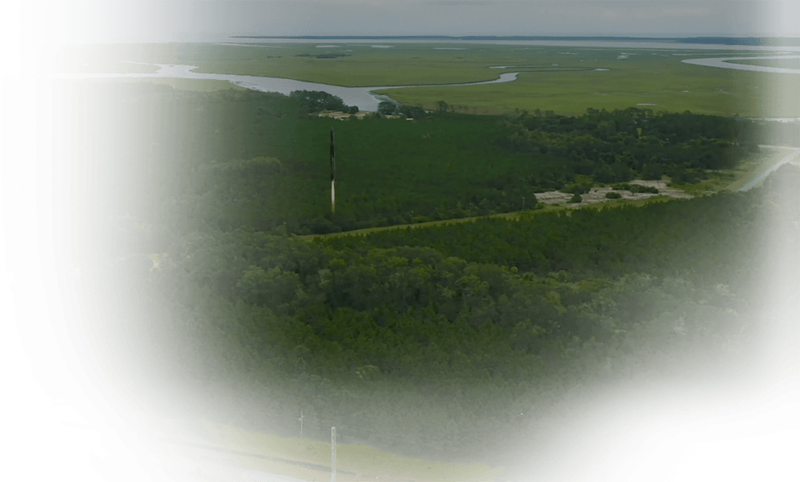 Why launch from the proposed launch site in Camden County, Georgia? This prime location provides direct access to an orbital inclination as large as any launch site in the United States. Combined with wide range of favorable launch azimuths, this velocity advantages enables launch operators to deliver more payload mass to orbit. What is the proximity of the Camden Spaceport to cutting-edge Space Technology? Located on the Georgia-Florida border, Camden County provides ready access to cutting-edge space research and technology. The Georgia Institute of Technology is a top tier research university with established space technology programs. Each year, Georgia Tech graduates more than 200 students with interests in space systems engineering and space science. Georgia Tech’s Center for Space Technology and Research brings together a wide range of space science, space technology and space research activities including efforts on the frontiers of astrophysics, Earth science, planetary science, robotics, space policy, space technology and space systems engineering. What type of construction activities are proposed? Do you have customers/launch providers secured? We are currently in discussions with multiple launch providers. The County will continue to establish public-private partnerships. How often would rocket launches be scheduled at Camden Spaceport? Major operation activities being evaluated in the EIS include up to twelve orbital vertical launches and landings per year using various rocket propellants as well as recovering spent stages at sea that may be barged back to the site for rehabilitation and reuse. In addition, the EIS will evaluate offsite communication, control, and launch facilities, and public and media viewing areas.